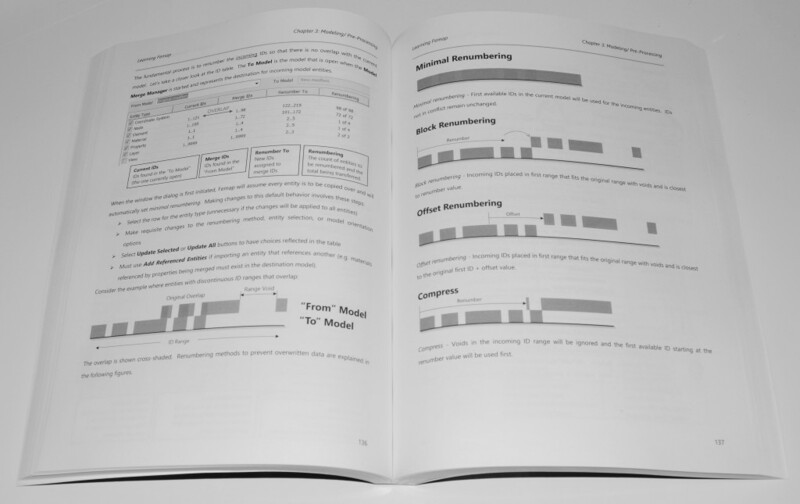 Specifications of the publication and “Inside the Book” views of the Nodes and Merging Model sections. Interior Color: B&W pages or full color for additional cost. Note the reason for the price differential is due to the significantly increased sourcing cost of all-color prints. Here are two sections presented from Chapter 3 of Learning Femap. This demonstrates the characteristic combination of Femap screenshots and inline instruction of the relevant user dialogs within the book.